What happens when you pour tequila instead of whiskey into one of the best-known happy hour cocktails? Magic in a glass! That is what we have in the fun tequila cocktail known as the Juan Collins. This recipe is just one of the many from the collins family of drinks, which includes some of the most refreshing and popular cocktails you can find. The collins formula is simple: base spirit, sweet, sour, soda. 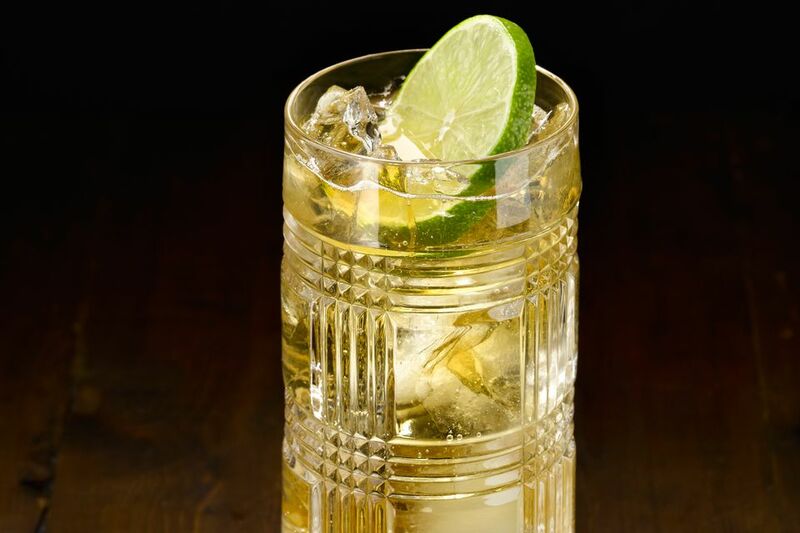 To make the Juan Collins we begin with a shot of good tequila, add fresh lemon juice, and use agave nectar for the sweetener before topping the drink with sparkling club soda. In a matter of just a few minutes, you have a tall, ice-cold tequila drink that can quickly become a new favorite. Pour the tequila, lemon juice, and nectar into a collins glass filled with ice cubes. The Tequila: Transparent drinks such as the Juan Collins do not have many heavy flavors to mask a poor quality spirit. That means that it's best to use a tequila that you would not mind sipping straight. Remember that the tequila you choose will determine the overall quality of the drink, so it is best to start it off right. Blanco (or silver) tequilas are the most popular choice for this recipe, though upgrading to an aged reposado is also an excellent idea. The Lemon Juice: Fresh lemon juice should be considered a requirement for making a great Juan Collins (or any collins drink, for that matter). If you like, switch to lime juice or use a lemon wedge for the garnish so you can squeeze a bit more juice in as you drink. The Agave Nectar: We often recommend pairing agave nectar with tequila in cocktails because the two agave-based ingredients just seem to work better together. If you do not have agave nectar, simple syrup is an option. You may find that 3/4 ounce syrup is a better fit as the nectar tends to be sweeter than syrup. If using straight cane sugar, start with 1 teaspoon and adjust it to your taste. Finding Balance: As with all sweet and sour cocktails, adjust those two elements to fit your personal taste. You might also find that you prefer a little more lemon with one tequila and a bit less with another. The fantastic part about the Juan Collins is that you can adjust it as you drink. If it's not quite right, add to it, stir, and enjoy! How Strong Is the Juan Collins? Like other highball mixed drinks, estimating the amount of alcohol in the Juan Collins is a bit of a challenge. That's because you may pour more or less soda than someone else and this single factor will change the potency of the drink. If, however, we assume that you pour an 80-proof tequila and finish the drink with about 2 ounces of soda, we can get a good idea. In this example, that would make the drink around 11 percent ABV (22 proof). This means that it is slightly stronger than the average glass of wine. That's why it is an ideal candidate for happy hour and casual drinking.